DiveBuddy.com Exceeds 1 Million Unique Visitors! On October 26, 2013, DiveBuddy.com has exceeded 1 million unique visitors! Since we began tracking our web statistics on December 19, 2006, DiveBuddy.com has continued to grow rapidly. Today marks the first day that we have exceeded 1 million unique visitors to our "little" scuba community. That’s over 1 million different scuba divers, instructors, dive centers, dive retailers and anyone else interested in scuba diving. Our Pageviews are now over 26 million! Yes, I said 26 MILLION! Very few online scuba communities can claim this achievement. The members of DiveBuddy.com are completely responsible for our success. 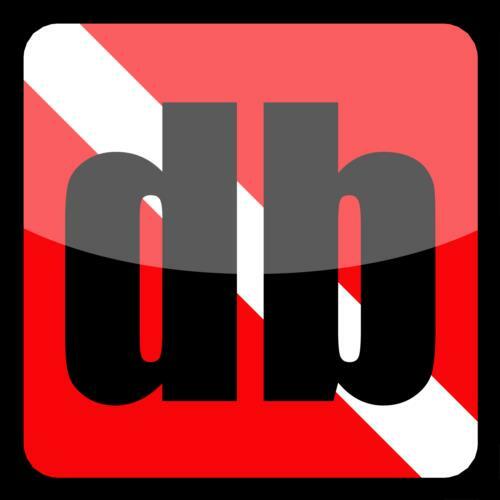 Over the years, we have had countless "ambassadors" of DiveBuddy that have helped spread the word. Our community has grown mostly by word of mouth and it has become one of the largest social hangouts for divers and dive professionals. From our Most Popular Divers, Most Popular Pros, to our Most Popular Dive Clubs ...every member has helped make DiveBuddy.com one of the most amazing resources for the scuba diving industry. The DB Moderators keep the site running smoothly and help to throw the "scallywags" overboard. Our "Original" Scuba Earth is a very popular destination for all things related to diving. Our Forum is an active and insightful discussion board for divers of all levels to ask questions and share ideas. Our Dive Log allows members to maintain a virtual log with photos and stats, which in turn feeds information to all of our Dive Site listings. We would like to thank every member for helping us get to this point. We all have so many dive buddies from all over the world thanks to the efforts of every single diver in this community. Thank you! Congrats Greg on hitting the MILLION mark! Yahoo!!! Awesome, Greg. Congratulations. Great job!! Awesome I am glad to be a small part of your animal, thank you. Great news Greg!! I must admit you created something special when came up with DiveBuddy.com!! Thanks Greg!